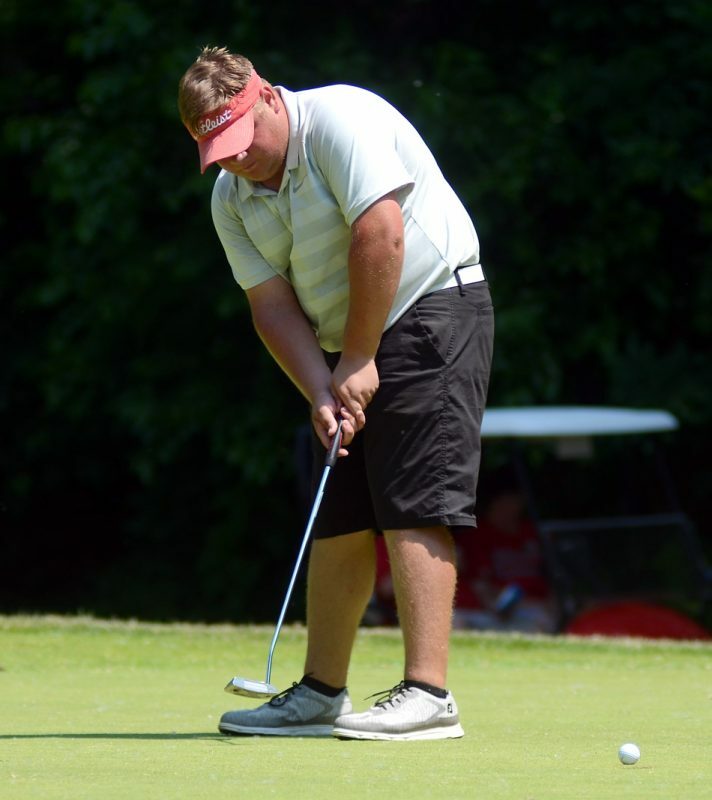 WARSAW — Warsaw head coach Rich Haddad and NorthWood coach Trevor Shields both had ideas about the kind of scores it would take to get out of Thursday’s Warsaw Golf Regional. Even had their teams hit those marks, however, it still wouldn’t have been enough. 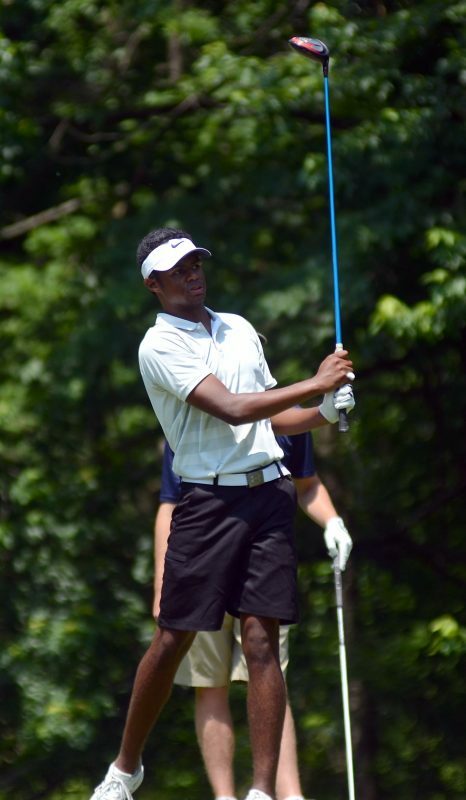 Penn fired a 297 for championship honors, and fellow Top 10-ranked Fort Wayne Bishop Dwenger carded 305 for third place at the 18-team tournament, while the surprise of the day came from Culver Military Academy, whose 304 earned the Eagles runner-up honors at Stonehenge. 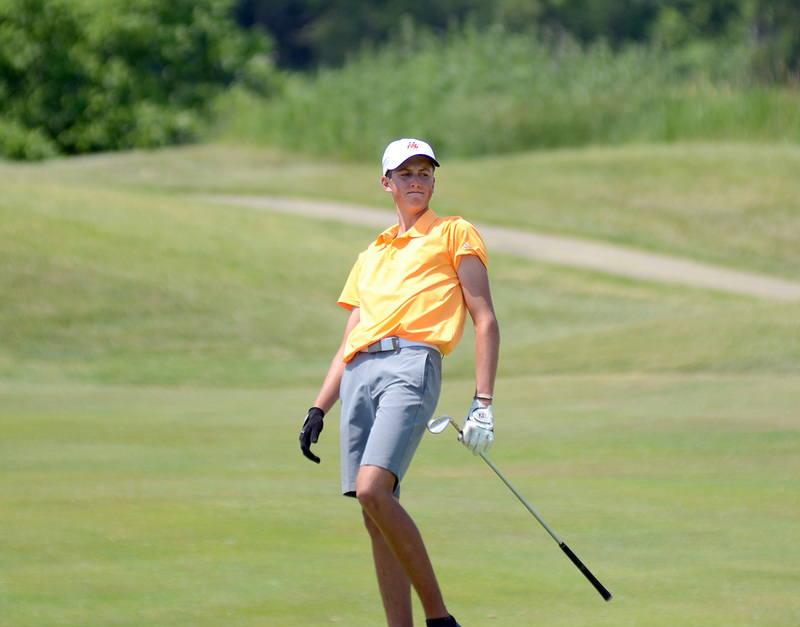 Warsaw’s 324 was only good enough for seventh place as the host Tigers edged out St. Joe on a fifth-score tiebreaker, and NorthWood’s 325 landed the Panthers in ninth place. 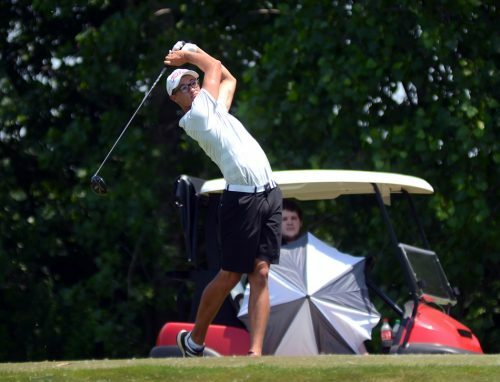 Haddad knew his team would need to play its best to claim one of the top three spots that guarantee a berth at the state finals next Tuesday and Wednesday, but had they matched their previous 18-hole low, it would’ve left the Tigers a stroke short. Had they gone even lower than that 306, they still would’ve had to win a fifth-man tiebreak with Dwenger. In the end, he could really only tip his hat to Thursday’s top three, CMA in particular. “Penn and Dwenger are top 10 state teams. We kind of said it’d have to be our best day to have a shot at them, so you give them kind of the front-runner status, and then there’s five or six teams that have the capability,” explained Haddad. “To have Homestead and Canterbury 306 and Culver 304, those are just really, really good scores. A 306 is our best round of the year so that’s just great shooting. Culver fired a 144 on the front side at Stonehenge — the Eagles’ second nine of the day — on the way to the team’s surprise 304, and only Penn’s 141 at the turn was better on the front nine. The Tigers didn’t get off to their best start on their home course but still salvaged a 160 at the turn. They continued to battle on the back nine, but it wasn’t enough to turn the round all the way around. Chase Byron hits an iron off the fairway Thursday. Luke Delp shot 78, and Sam Yeager turned in an 81 playing in the number one and two spots for Warsaw. 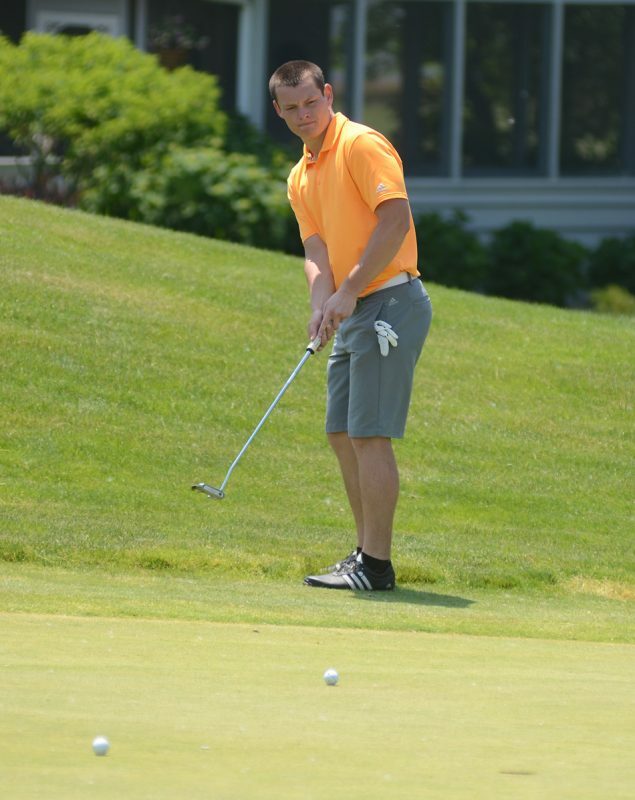 Tommy Meier’s 87 in the third grouping gave the Tigers their fourth score, while Jacob LaLonde turned in an 89 for the toss-out a week after giving his team a very strong 78 at the sectional at Rozella Ford. Chase Byron matched Delp’s 78 playing out of the fourth flight, meanwhile, in the Tigers’ brightest spot of the day. Caleb Lung watches his tee shot. 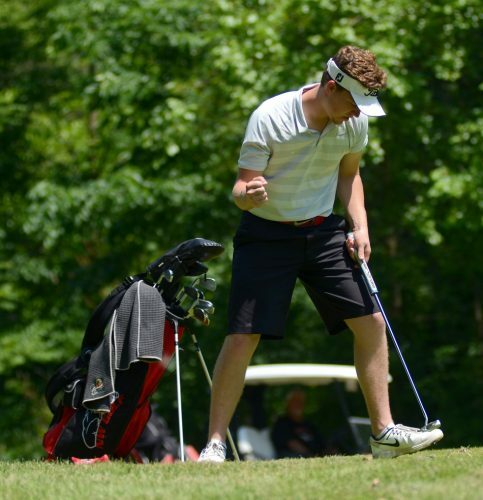 Shields had chalked up a number that would be doable for his Panthers and one that he thought might make it out, but even that number — a full 15 strokes better than NorthWood’s actual score Thursday — would’ve fallen pretty short of a top three finish. 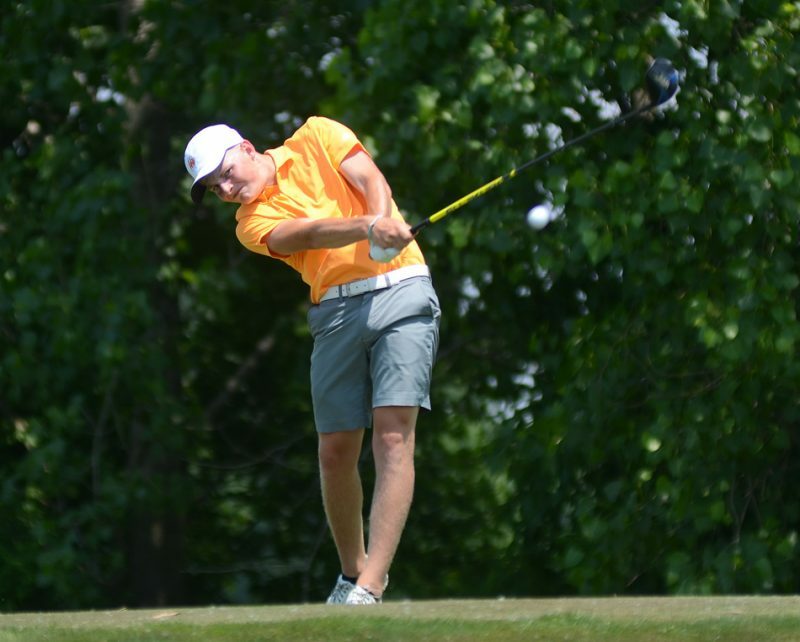 Caleb Lung’s 76 left him a single stroke short of an opportunity to play off for the last of five state berths reserved for individuals from non-advancing teams, a playoff that Homestead’s Bradan Kattman beat out Canterbury’s Carson Stohler for after both carded 75 Thursday. Jacob Falk’s 79 in the fourth grouping was NorthWood’s second-best round of the day, while Randy Kauffman shot 84, Sean Hogan was two strokes back, and Micah Pippenger put up an 89 for the team’s fifth score. “You know what, I’m so proud of Caleb, and really all of our guys as a team,” Shields said. “There were so many times as a team, and Caleb especially, could’ve folded today. We struggled at different parts on the front nine, and we battled. Caleb had a four-hole stretch on the back nine that he played 3 under. So he worked really hard to get to where he was, and I’m really proud of him for that. Randy Kauffman celebrates sinking a long putt. NorthWood closes a banner year with a dual meet record of 10-2, back-to-back sectional titles and the Northern Lakes Conference crown. The Panthers bid goodbye to individual NLC and sectional low-medalist Lung, as well as fellow seniors Pippenger and Kauffman and will have some key roles to fill next year. Warsaw also closes up after winning repeat sectional titles, with an NLC runner-up finish behind NorthWood. Only Byron and Zach LaLonde — who split time between the Tigers’ varsity and JV this spring — return from the varsity lineup next season, but Haddad is expecting an influx of young talent to the program next year in the form of five to six incoming freshmen. “We’re going to get pretty young, but we’ve got really good players coming,” said Haddad. “I think we’re going to be competitive next year. I wanted as much success as possible for this senior group. They’ve been together a long time, and it’s nice to see them play together, support each other. It’s been a joy to coach them. They just came up a little bit short, unfortunately, but it’s been a good run. 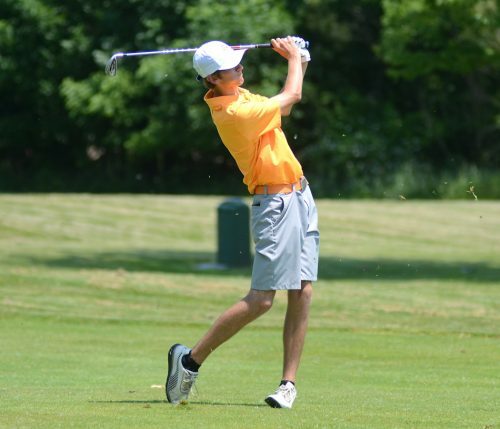 While Penn, CMA and Dwenger made the team cuts out to next week’s state meet, and Kattman claimed the last individual berth out of the Warsaw Regional, Homestead’s Garret Willis shot 70 for the first of those solo berths, Manchester’s Harley Kruschwitz carded 72, St. Joe’s Michael Anthony shot 73, and Bishop Luer’s Stephan Bolen punched the fourth individual ticket to the two-day state finals at Prairie View in Carmel with a 74 Thursday. Triton’s Beau Hepler — who advanced individually to regional with a 76 at last week’s sectional at Rozella — closed out the year with a 79 at Stonehenge. His 36 on the front nine had him in good position, and he was still sitting at 1-over after 13 holes but went 6 over on the final three holes to finish out the round. Beau Hepler talks things over with Triton head coach Jack Carpenter.